This new product is the further enhanced version of our Hi-Catch Fluorocarbon in terms of abrasion resistance. In the generic clear colour. With a wide range of sizes available from extra thin to thick, this is a utility fluorocarbon leader for versatile use. This new product is the further enhanced version of our Hi-Catch Fluorocarbon in terms of abrasion resistance. In addition to the generic clear color, it also comes in pink that blends even better into water. 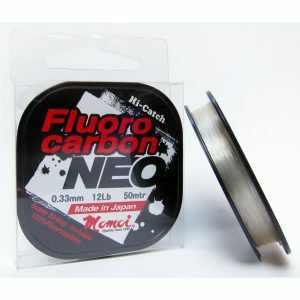 With a wide range of sizes available from extra thin to thick, this is a utility fluorocarbon leader for versatile use.